KPMG’s Nicole Watson (left) and Judith Carbonneau Kaplan address the chamber breakfast on Wednesday. Tuesday’s federal budget didn’t get the Kelowna Chamber of Commerce fired up one way or another. There was one item, however, buried deep in the massive document that piqued the chamber’s interest, and it has to do with interprovincial trade. 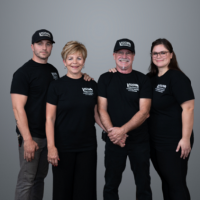 It’s a hot topic in the Okaganan due to the impact the current regulations, which are restrictive, have on the wine and spirits industry. The Liberals intend to remove the federal requirements that called for alcohol moving from one province to another to be sold to the liquor control board. It’s a small step towards interprovincial trade, but Rogers said at least it’s a step in the right direction. 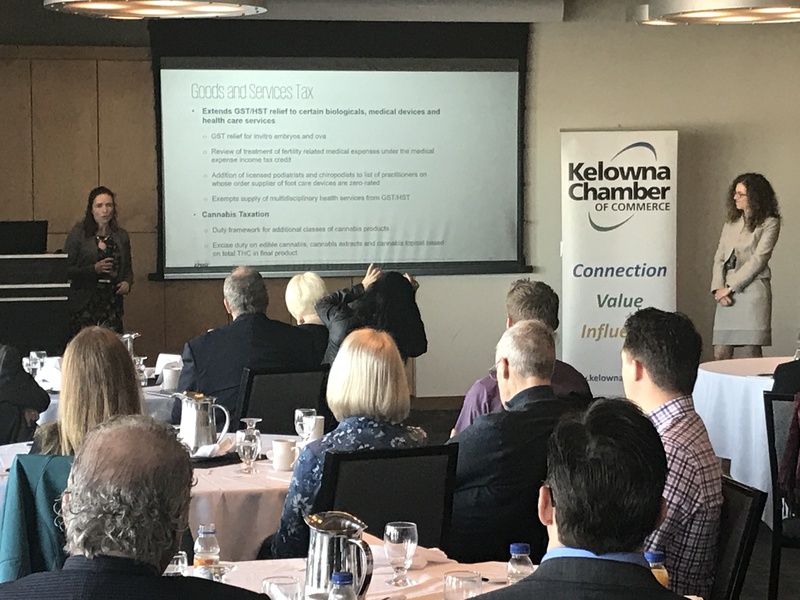 The chamber held its annual post-federal budget breakfast on Wednesday morning at Kelowna Yacht Club for members and others with business interests. KPMG’s Nicole Watson and Judith Charbonneau Kaplan covered a few of the budget’s highlights and how the resulting taxes will affect businesses. “It’s been coined as a political budget in an election year, so not totally unexpected,” Rogers said. 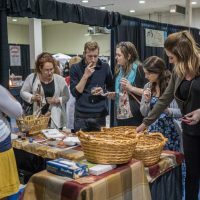 “There are some good indications of some things that might help business in the Okanagan, particularly if we’re making some strides on freeing up interprovincial trade when it comes to wine and spirits. That’s a real positive.